MATURE-AGE draftee Darcy Fort is firming for an early season debut as Geelong's four-pronged ruck division fights for the No.1 mantle this summer. Captain Joel Selwood declared 25-year-old Fort and incumbent Rhys Stanley were the early contenders to take the first centre bounce against Collingwood on March 22. With a pre-season scratch match in late February against North Melbourne to come before two JLT Community Series fixtures, the race is on to impress. "It's on the line, there's no one really standing out," Selwood said. "That's the challenge for the boys the next six weeks leading up to those games. "Ryan's (Abbott) probably lagging behind the others, Zac's (Smith) a little bit the same case. Darce and Rhys are probably in front." Fort arrived at Geelong via pick 65 as the oldest player taken in November's NAB AFL Draft, after a journey spanning three state league clubs culminating at Central Districts (SANFL). Selwood highlighted Fort's competitiveness and athleticism as his biggest strengths, with the 205cm big man completing more of the pre-season than his three colleagues to date. Stanley has re-joined the main group after a delayed start due to ongoing calf tightness, while back injuries have meant Abbott and Smith have been restricted to modified programs. Speaking on Friday alongside Melbourne Storm captain Cameron Smith, Selwood admitted to some jealously towards the NRL great, who is just three weeks into his pre-season campaign. While Selwood has enjoyed a lighter load in his 13th summer campaign that started in late November, the 30-year-old believes the AFL could follow the NRL's lead into the future. "They've been kind to me so far I must say, the sports science crew down here," Selwood said. "It is maybe a way of the future, knowing and having (AFL operations boss) Steve Hocking in the past work with me and closely to me (at Geelong), it might be a thing the AFL might look at going forward." While Selwood is set to bypass the February 22 AFLX competition, he insists the season proper is only set to intensify. 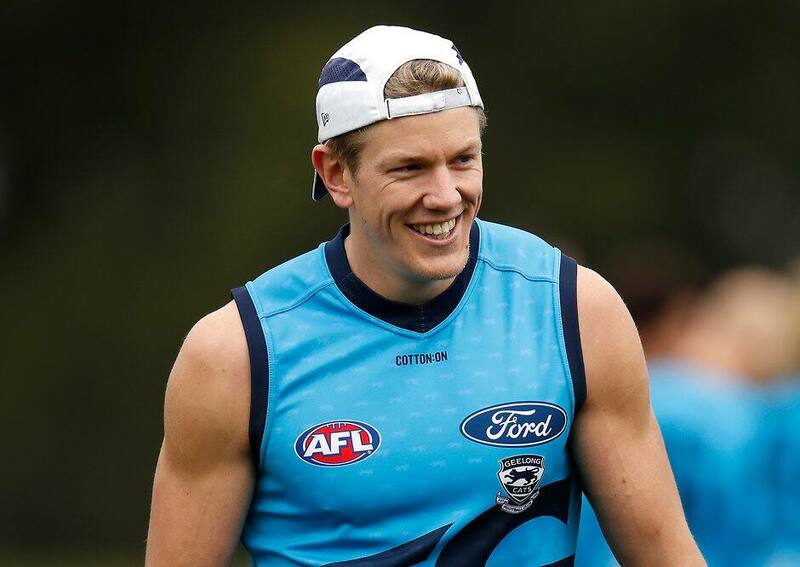 "I think we're finding that it is through training there is going to be more one-on-one contests," Selwood said. "The fatigue will probably set in more with the 6-6-6 (starting positions) because you feel like you're running at a contest pretty hard and you have to reset and get everything in place." The Cats trained at a resurfaced GMHBA Stadium on Friday morning for the first time this summer after time at Deakin University. As the temperature hit 37C at the beginning of the 9.15am session, speedster Nakia Cockatoo remained away from the main group as he builds up his fitness following a serious knee injury. "It's a slow burn for Cocky. We don't need him to get there straight away, but we do need him to play a lot of footy this year," Selwood said. "(I'm) not sure when we'll see him out on the park with the other boys and there is still a part of learning it (training) that he still needs to get and he's 4-5 years into his career now. "Careers can go quite fast, too, they don't all last as long as Cam (Smith) or myself have. We have to make sure we can get the best out of the kid." Smith was in town to tour the GMHBA Stadium facilities ahead of an NRL trial game against the New Zealand Warriors on Friday February 22.